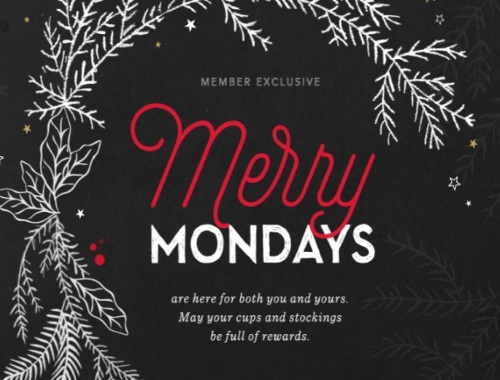 Starbucks Merry Mondays holiday promotion is back! Every Monday on the dates below from 2pm-close they will have a special offer in participating Starbucks and Teavana stores! *Offers are redeemable at participating Starbucks and Teavana stores when you pay with your Starbucks app or registered card.